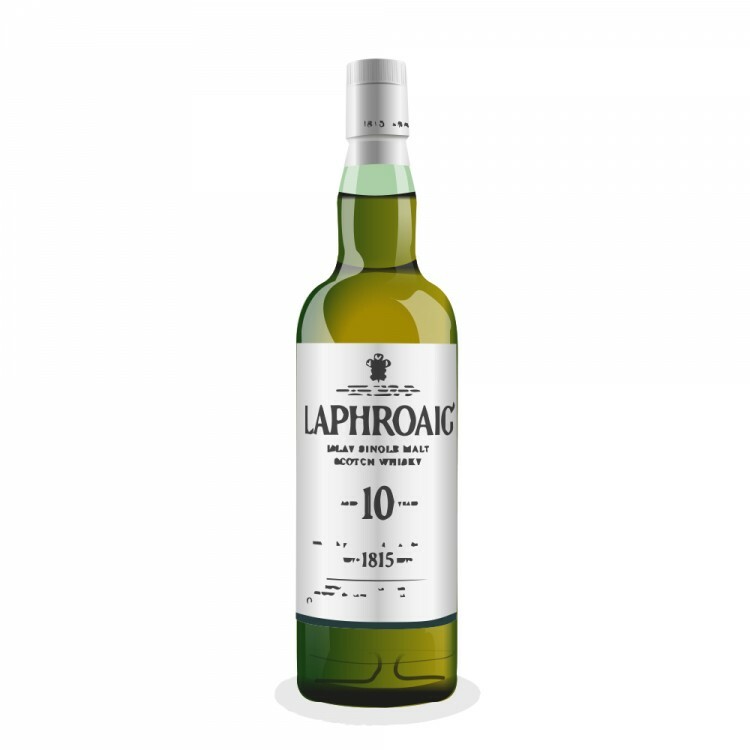 I have tasted this Laphroaig early on in my whisky adventure, but by that time when we bonded it was mostly due to me being a youth easily impressed by the wonderfull damp and mineral peat that has been this distillery's byword. There is a saying that Laphroaig is a whisky you either love or hate, and if there's truth in that, then i am definitely a "lover". 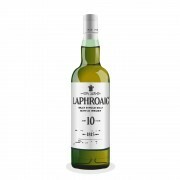 But soemeone who is an even bigger lover of the Laphroaig icon is my girlfriend. I introduced her the Quarter-Cask (earlier review) which i was already used to, and she completely fell for it to the point of being even more crazy about it than me. Speaking of which, this is actually her bottle, but i am only sampling a little, because i don't need much when i have in fact had this review in the works for more than 8 years in my head. Nose: Big Bold Peat! After it a damp, bitter vegetal note with salt and sweet liquorice&sweet spices. Golden syrup makes up the flavour background in tandem withe damp vegetal note but hints the body which will follow on the palate. Smokey rubber, rounding off with vanilla and vanilla pods. Palate: Kipper smoke and rubbery peat go hand-in hand. Road tar, chalk and a flinty stony classic "Laphroaig" mineral underlying quality that peeps up it's head now and again. Bitter toffee and vanilla sweetness. TCP and bitter aniseed make up the development with syrupy malt with more vanilla and lingering rubbery peat with iodine following. Finish: Not as long as before but it is satisfyingly lingering. The mineral, flinty Laphroaig character comes back to mark the finish, Sea rocks? The syrupy malt pans out everything with vanilla until the tar comes back with iodine to dry it up on the palate. An islay classic which everyone should taste, probably my favourite of the three southern Islay distilleries, i seem to have a weakness for bold characters.. Still agood'n this malt, but as anyone would probably note: Higher strength and this one is well in the 90's, for me. One of the greats, impressive to seea malt hold it's own so well even at 40%, Wow! Beautiful review, I enjoy Islay whisky and bold flavors too. This is one of my favorites too.